Vibrant shawls handmade by the proud descendants of the Maya Civilisation. Made in jacquard looms with top-quality organic cotton threads, with traditional Mayan weaving techniques. By collaborating with this women weaver’s cooperative in Guatemala, Artisan & Fox aims to help preserve Mayan craftsmanship by sharing their classic designs with the world, and empowering the women weavers to expand their businesses by connecting them to consumers like you. Every piece is made fully by hand. Our collaboration with this cooperative is unique as 65% of the profits made by sales is paid to the cooperative. The weavers receive 50% and the remainder is given to the administrator and translator working to facilitate our collaboration. Working alongside fellow Mayan women as part of a local artisan association in Solola, Guatemala, Oralia had learnt the art of looming from her own grandmother. 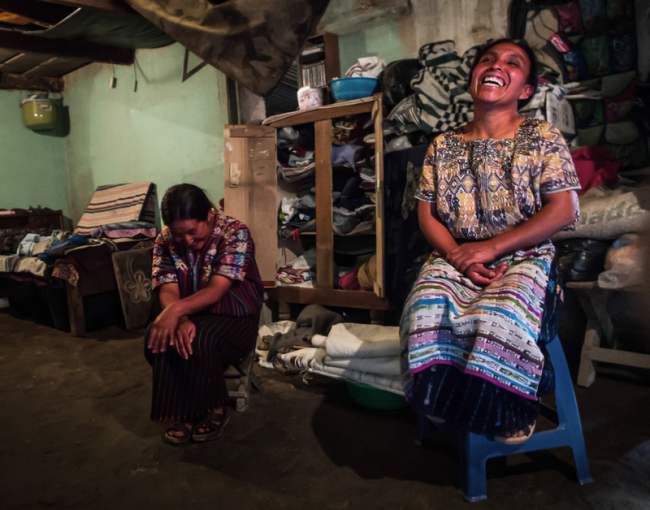 Oralia shared with us that she works from her home, and always begins her weave with a prayer. As she takes care of her children during the day, Oralia often weaves throughout the night. She hopes to one day send her children to college. Oralia loves weaving because she believes that this is the mission her ancestors have given her. It is a cultural heritage, an art and they have to fight to preserve it. Her incredible weaving techniques and teachings had helped produced some of the intricate SOLOLA Shawls featured on our marketplace. Discover timeless Mayan textiles, handwoven and passed on from generations of Guatemalan artisans.